Here’s my week 4 update of my 2nd space of the Fall 2017 One Room Challenge! As I mentioned in my other room’s post, all of us participants have received some news that the challenge will extend for 1 extra week. Again, I’m pretty excited and relived since this past week has been a struggle since I’ve been sick and haven’t been able to accomplish too much. This week, I focused on the layout. Since I plan on using all the same furniture I really wanted to some how switch up the layout to make it feel a little different. I think I moved and re-moved everything a 100 times this past week! But, after much thought here’s the layout I came up with. For starters, I placed my cube bookshelf against this wall and turned it on it’s side. I still plan on removing the shelf’s above it to my little girls’ room. 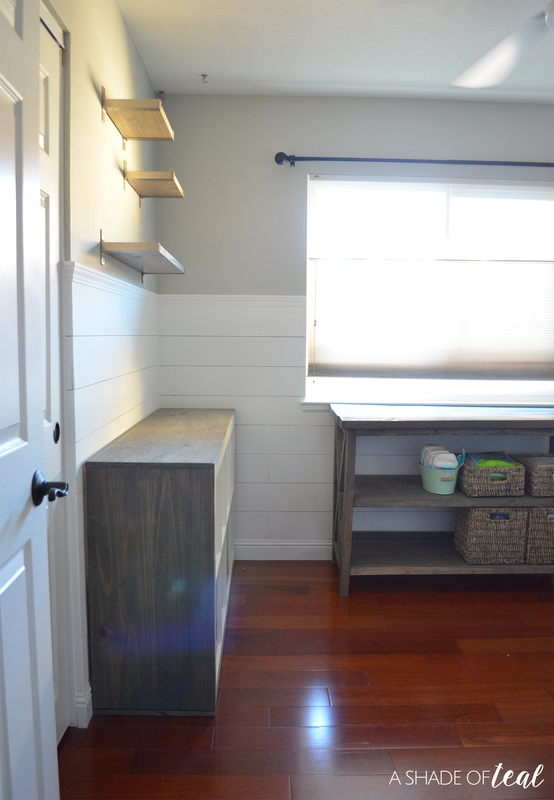 Next, I moved the changing table under the window. 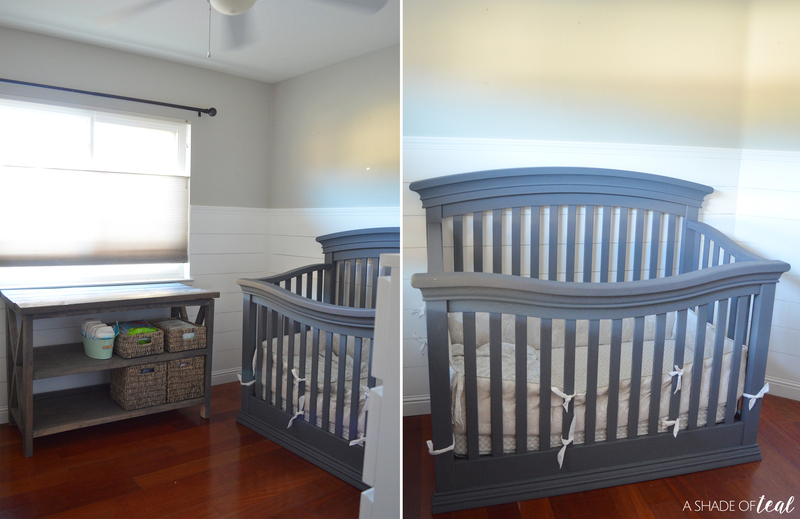 I was hoping to use some old dark grey curtains I had, but after deciding to place the changing table against the window it was looking too dark. So, I now need to find another curtain option. I ended up keeping the crib where it has always been. It just fits the best against this wall. Above the crib I’ll add some new art and decor. Finally, I kept my hacked MALM dresser where it was as well. It feels a little different because I use to have my cube shelf tucked in this corner. It’s definitely a little more spacious now. As for the dresser, I plan on giving it a slight refresh with a darker grey paint and new hardware. I also plan on removing the book racks, but not sure where they’ll end up. New curtains & pillows- I need to figure out a new option for curtains but my pillows are ordered. New rug- Still need to purchase. Could you do a Roman shade instead of curtains? 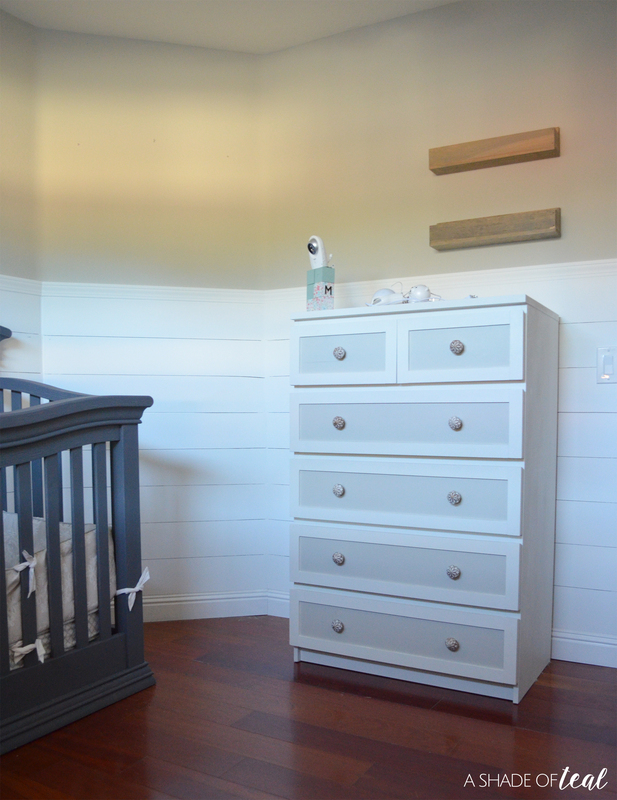 That way you can keep the gray you wanted but, when the shade is open, it’ll be farther away from the changing table so it won’t look super dark.